When people boo and hiss after baritone Steven LaBrie’s performance in The Consul, it’s not because he didn’t sing well. 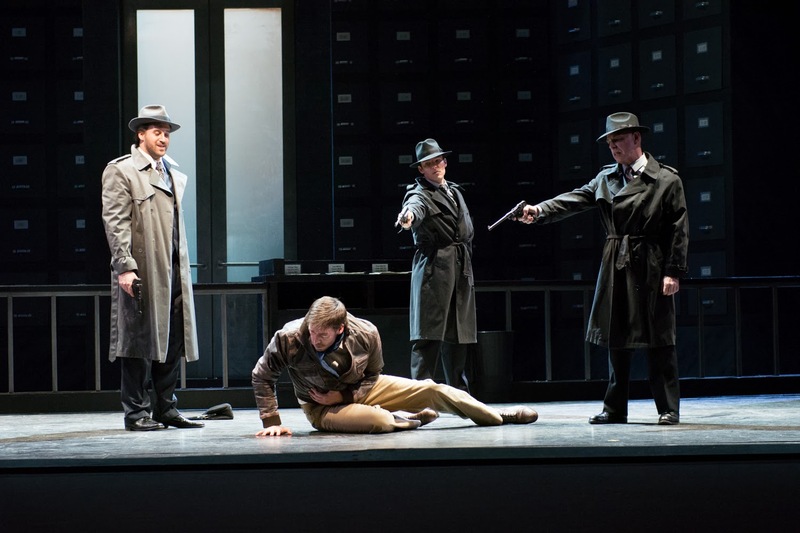 On the contrary, LaBrie makes his Seattle Opera debut as the Secret Police Agent: a character with menacing intentions brewing beneath a saccharine-sweet demeanor. As the agent tries to trick Magda Sorel into betraying her freedom-fighter husband, he says, “I like you very much, Mrs. Sorel. We could be very good friends …” As LaBrie describes it, you can’t just act mean or cruel for this role; the Police Agent is far more complex than that, and it’s the duality, along with unpredictable rage, that makes him all the more terrifying. Welcome! You’re new to Seattle Opera. 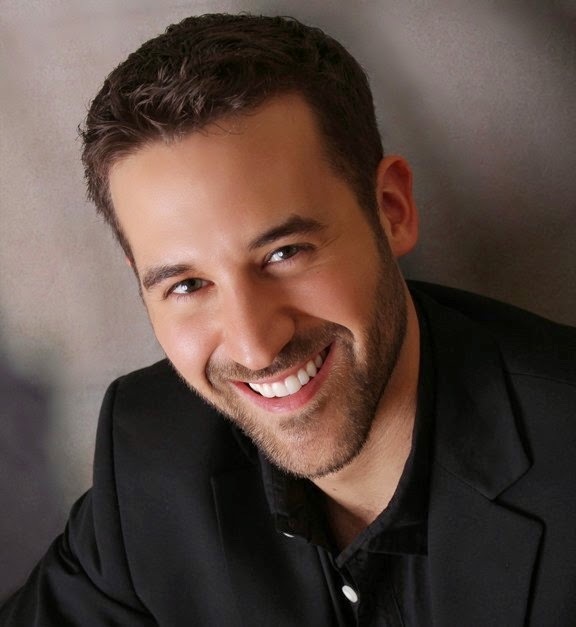 How did you get into singing? I’m from Dallas, Texas and I started singing in high school; right after that, I got into The Academy of Vocal Arts in Philadelphia. Are you a baritone or a bass? Does this role sit comfortably in your voice? I’m a baritone, actually. This part is a little low for me, but I have enjoyed the challenge, as well as the acting. Your fellow cast-member Sarah Larsen tells us that her part, The Secretary, is a human being, too. Is it possible that the Secret Police Agent also has redeeming qualities? Yes, he too is a human being. He works for the government, and so he’s removed from the struggles of laypeople like the Sorels; he gets financially rewarded for doing what he does and I think people can relate to the fact that he too, is a “family man.” In his mind, John is the bad guy. Everyone in this story is just trying to survive. The musical motive Menotti created for the Secret Police Agent has been described as “rat-like.” What are the most important elements of the character, as far as you’re concerned? His music has a lot of melodic ups and downs which seems fitting; he’s sort of slithery, more like a snake, than a rat: He goes from smooth-talking to unleashing his fury without notice. He interrogates Magda and tries to come across as courteous, but of course Magda sees right through him: she knows that he intends to ultimately hurt her and her family. What have you gained from the experience of being in The Consul? I’ve definitely gained a greater sense of musicality and more tools to make a character nuanced, complex and dynamic. On my mother’s side, my grandfather was a deserter from the Spanish army. Additionally, being from Texas, I know a lot of immigrants. That’s right; growing up in Texas, did you speak any Spanish? Spanish was actually my first language until age 4 or 5 (I’m of Spanish and French descent). It’s still in my memory; I can access it. But having a one-on-one conversation is hard. 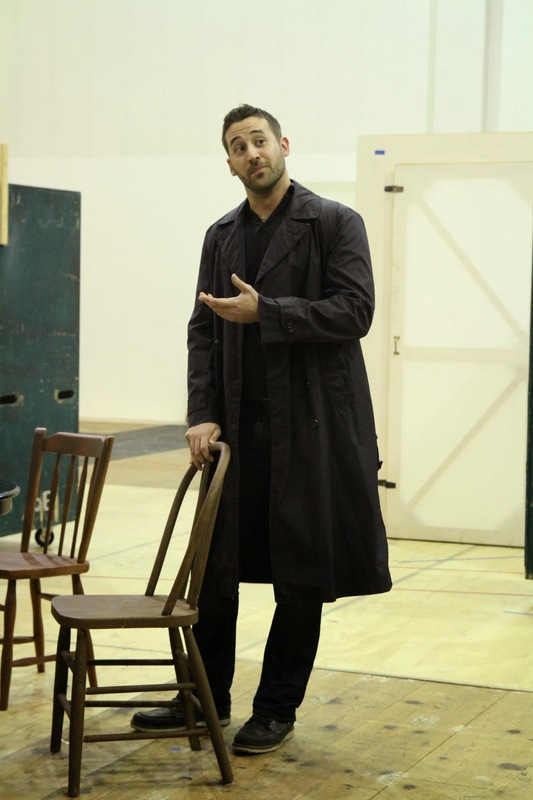 Steven LaBrie in rehearsal as The Secret Police Agent in The Consul. Still, as a native Spanish speaker, I would imagine you have taken well to the world of opera, which is heavy on the romance languages. It’s helped me so much! I recently did Carmen in Dallas, and the French came very easily—I was actually impressing French people (not that I could have made up an actual sentence)! Do you like playing the bad guy or the good guy best? At heart, I’m really the ingénue! But I’m not a tenor; I’ve been doing bad guys for a while now. Every once a while, you want to be able to be the one to tug at peoples’ heartstrings. I think that this topic is just so important: the fact that some people have no refuge, no plausible means of escape even when they go through the proper channels, as Magda does. Steven LaBrie as The Secret Police Agent (left) with David S. Hogan (center) and Geoffrey Alm (right) and Michael Todd Simpson (floor) as John Sorel. Elise Bakketun photo. 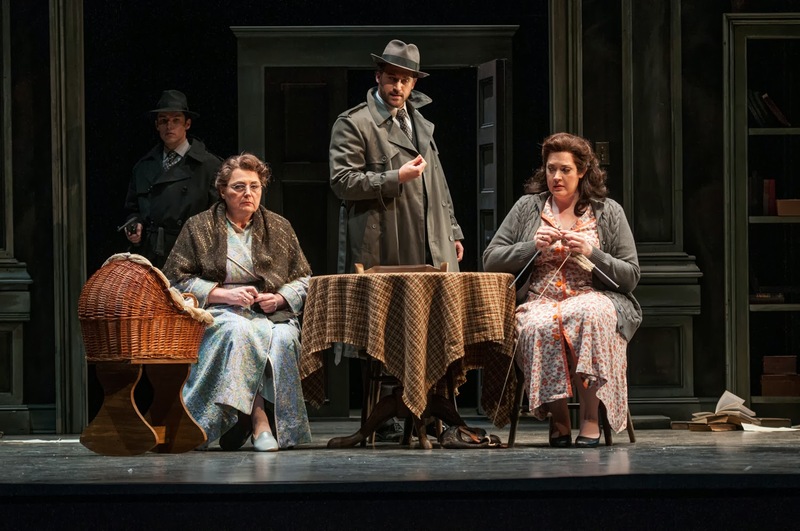 There's still five more opportunities to see The Consul, which plays at McCaw Hall at 7:30 p.m. on February 26, 28; March 1, 5 and 7. For tickets and more information, click here.